Aku kena edit sikit artikel ni sebab ada few yang salah sikit, and gambar pon tak kena. Blackbird dia gi bubuh gmbar hayabusa. Mana ada.. Merepek saja kan?? haha.. Ingat kita ni buta kayu? tak pon dia silap tu.. Macam aku jugak, bukan sentiasa betul. Apa pon, enjoy!! 1098 Ducati sportbike which is manufactured by Italian company Ducati motorcycles since 2007. 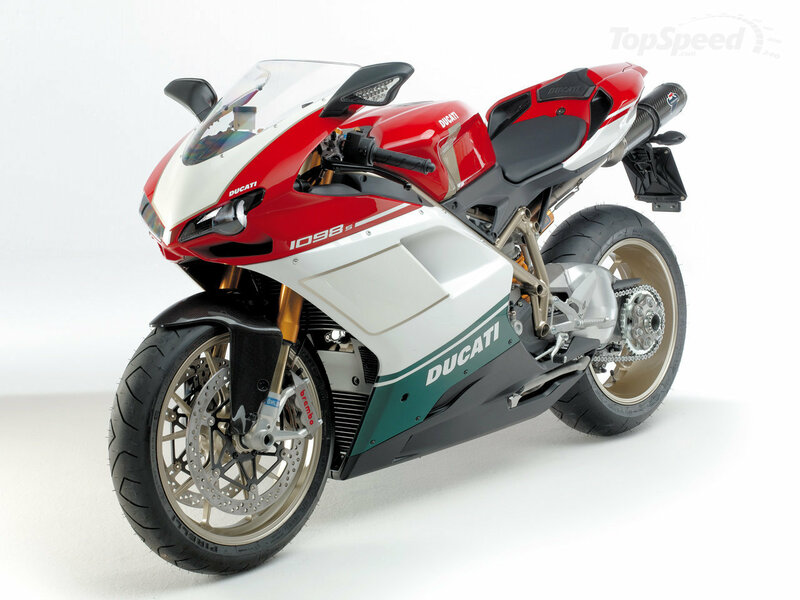 There are three different versions, called the 1098, 1098S, and 1098R. Two models are replaced with a successor model, the Ducati 1198. The BMW K1200R is a naked supersport motorcycle produced by BMW. Aprilia RSV 1000 R is a super bike motorcycle manufactured by Aprilia from 2004 to 2010. Along with the times changed his name to RSV Mille RSV to RSV 1000 R.
This motor was produced in 1990-2001. Ninja ZX-11 is marketed throughout the world especially to North America. This motor was created by renowned designer Massimo Tamburini motorcycle at CRC (Cagiva Research Center), after his work on the Ducati 916. 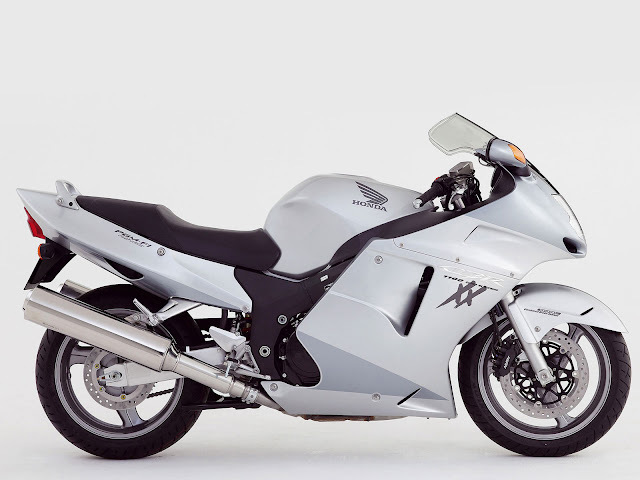 Launched in 1998, this motor has a unique design where the four exhaust behind, single-sided swingarm, front forks large (49 or 50 mm diameter) and MV Agusta traditional red and silver livery. Yamaha YZF-R1 is an open class sport bikes, or a superbike, motorcycle produced by Yamaha Motor Company since 1998. Honda CBR 1100XX Blackbird ever record the fastest bike in the world, before the rival manufacturers Honda, Suzuki Hayabusa and Kawasaki to make the Ninja ZX-12R to the present position as the fastest motorcycle in the world has yet to be replaced, followed by Suzuki GSX 1300R Hayabusa, Hoda CBR 900RR Fireblade / Triumph Daytona 955i (no clear data), then CBR 1100XX Blackbird. This motor was created by Ted McIntyre of Marine Turbine Technologies Inc. Report of the MTT Turbine Superbike emerged in early 1999 in the May issue of Cafe Racer magazine, but the production model was introduced in 2000. Motorcycle made by Suzuki since 1999, including type of sportbike. Motor is dedicated to those who love racing and as everyday transportation. Apparently not only the car, dubbed the world’s fastest, This is Tomahawk, the world’s fastest motorcycle, equipped with 8200 cc engine capacity. Chrysler, the creator of Tomahawk uses the basic technology Viper V-10, and the powerful 500 hp engine with four wheels. With the original concept and nine replicas valued at $ 555,000 per unit, this bike is sold through Neiman Marcus. Unfortunately, the Chrysler produces a super bike is just as “Promotional displays” However this motorcycle can be ridden. This is fastest motorcycle in the world.